New Year resolutions have been made, some broken, some followed so far. We’ve got one for you – this year, why not spend some time volunteering at a shelter, an old age home or an orphanage and make a difference? A shelter for homeless children, Don Bosco provides care and nurturing to kids of all age groups and helps them with life skills for their future. So, if you have clothes to donate, games or toys, or even food supplies, they welcome them with open arms. Kids here are taught simple etiquettes, given education, and are given vocational training based on their hobbies and interests. What You Can Do: Help with their education by spending a few hours and helping a child learn. You could also conduct vocational or skill training workshops. Medical assistance and awareness is also where you can lend a helping hand. If you would like to, you could sponsor a child. If you wish to spend time with senior citizens, then volunteering at the Dignity Foundation is something you may want to check out. What You Can Do: Headquartered in Byculla, Mumbai, one can volunteer in either one of the many old age centres located across the city or be part of the team of volunteers that help senior citizens get access to their senior citizen cards. 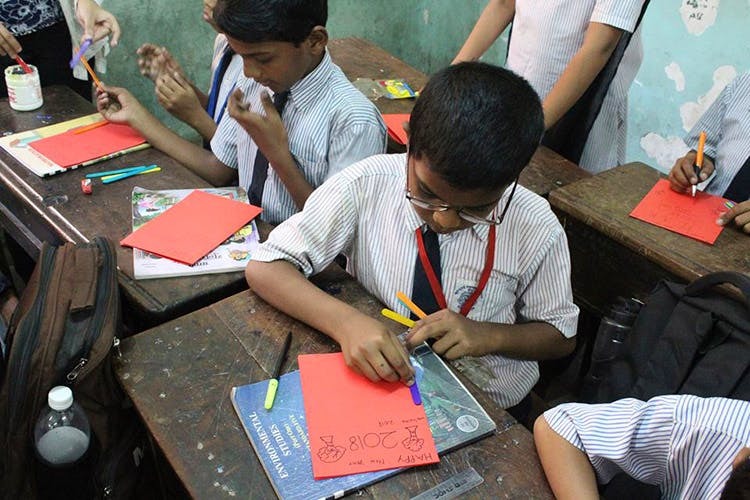 One of the many education NGOs in the city, the Akanksha Foundation gives you the chance to educate children who have little or no access to primary education. There have been several success stories to have come out of Akanksha including that of a roadside bookseller, who is now in the United States studying to be an entrepreneur. What You Can Do: Akanksha has centres both in Mumbai and Pune and they are always looking for teachers. Note, you will also receive training before interacting with the kids. One of the earliest NGOs that focused on animal rescue in the city, WSD gained fame because of their work with the BMC in neutering strays across the city. Earlier, the rule stated that strays captured would be put down. What You Can Do: Love for animals is of course what draws volunteers to WSD. But more importantly, it is the ability to act rationally and responsibly that makes them truly valuable. Meet some of the people who are head-over-heart in love with street dogs. To volunteer with WSD, call +912264222838, 10am – 5pm weekdays or e-mail. Although headquartered in New Delhi, World Wildlife Fund has a Mumbai office at Lower Parel. Nature lovers can be part of this organisation to understand and conserve India’s flora and fauna better. What You Can Do: To volunteer, visit this page. A public health NGO based out of Santacruz in Mumbai, SNEHA focuses on working with mothers and infants between 0 and 5 to ensure reduced mother and infant mortality rates. In order to do so, they work with mothers to ensure they are given proper nourishment that in turn helps in proper development of the child. What You Can Do: Do volunteer with SNEHA, you must be at least 18 years of age. To know more, visit this page. FPAI or Family Planning Association of India is the country’s oldest NGO. Headquartered in Mumbai’s Bajaj House, PHFI is one of the frontrunners in ensuring family planning, reducing the dropout rate for the girl child, and neonatal care. What You Can Do: There are several volunteer programmes that FPAI offers, take a look at what they have to offer here. Located in various cities in both India and Pakistan, the Robin Hood Army collects food that you plan on wasting and distributes it amongst the poor. What You Can Do: Volunteers are largely students and young working professionals. The lesser fortunate sections they help include homeless families, night shelters, orphanages, and patients from public hospitals. Pet Owners and Animal Lovers Foundation is an NGO which works for a better future for animals in Thane. While helping you adopt a pet, PAL makes you fill out a questionnaire, and then does routing checks to see if you’re up to the job of being a dog/cat parent. What You Can Do: WhatsApp PAL on +919820380638 or call on +919324699829 to volunteer and become a part of the programme. Volunteers can join the feeding program in Thane. The volunteers can also help with the rescues. If you are interested, give them a call on the number mentioned above. One of the largest environment NGOs in the world, Greenpeace (www.greenpeace.org) has more than 15,000 passionate people around the world dedicate time, energy and skills. What You Can Do: Visit their page to know how you can help and make a difference.